SNWMF 25 welcomes the return of 'SingySing' due to popular demand! Tarrus Riley's performance at SNWMF 2017 was a highlight for many. Tarrus is among the leading ambassadors of modern day reggae in Jamaica. His commanding vocals, intuitive lyrics and vibrant personality combine to create a formidable artist. His rising catalogue is described as "healing" music. His foray into music was inevitable. From an early age, the talented singer and songwriter was always surrounded by music. Tarrus is the son of veteran reggae singer Jimmy Riley. However, he set himself apart from his father's legacy and created his own brand, style and signature. Tarrus made his recording debut as a teenager. "I've always loved music; I used to deejay but everyone used to encourage me to sing. They used to call me "Singy Singy" because I was always singing," Riley commented. "I sing for the people - this is the contribution I can make and after I make a song; it isn't even mine anymore; it belongs to the people. I define myself so I make thought-provoking music about Black consciousness and experiences. I want to open people's minds and let them think. My music isn't prejudiced towards colour, class, creed or nationality." In 2004, Tarrus released his debut album, Challenges. Two years later, in 2006, he released his sophomore album, Parables, to widespread acclaim and spawned hit singles - "Stay With You", "Beware", "She's Royal", and "Lion Paw", among others. "I worked on Parables with Dean Fraser and I wasn't surprised at the success it has had, but how fast it all happened", Riley reflected. "I've known Dean a long time and to work with him on something as great and historic as Parables, is an honour. Parables was a confidence builder and has set the foundation for everything else that I will bring to my audience." In 2009 Riley released Contagious on Cannon Production. It contained the hits "Start Anew," "Contagious," and "Good Girl Gone Bad" featuring Konshens and Superman." It peaked at number five on the Billboard Reggae Album chart. 2010 saw the release of the chart topper Protect the People, which scaled several charts in Jamaica and across the Caribbean. In early 2011, Tarrus released the Black History themed "Shaka Zulu Pickney" which was featured on the Nyabingi rhythm from Bombrush Music. The video for the song which was directed by Storm Saulter was well received upon its release. 2011 also saw the release of videos for hit singles including "Come Ova" and "Never leave I." Both songs have become anthems on Jamaican radio as well as in several Caribbean territories. Riley released the acoustic album Mecoustic (Soulbeats Records) in 2012. The album once again demonstrated the versatility of Tarrus as a vocalist and further cemented his acceptance in Jamaica as an ambassador for the genre. In February 2014,Tarrus released Love Situation, produced by Dean Fraser for Cannon. Shortly after its release, Love Situation earned him his first number one position on the Billboard Reggae Album chart. Tarrus works with a group of friends on a movement proudly titled BLAKSOIL � Bredren Living According to King Selassie-I Overstanding & Iritical Livity. Through this movement, "I target women and children with my music because slavery tampered with the woman's mind and that's why I wrote "She's Royal." She's the head of the household so she has the power to influence the young men and women of tomorrow." 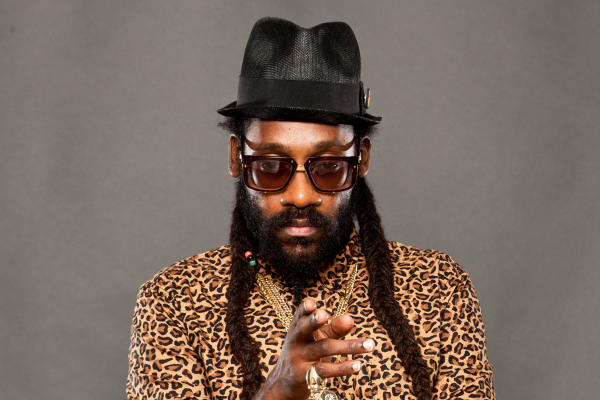 His interest in educating the youth about Black History resulted in the Tarrus Riley Freedom Writers Competition which ran on Jamaica's Irie FM radio station. Tarrus has consistently racked up awards for his work. Among his accolades are Best Singer, Male Vocalist of the Year, Cultural Artiste of the Year, Song of the Year, and Best Song. Some of the institutions that have awarded Tarrus include the Youth View Awards, The Star People's Choice Awards, EME Awards, and the Reggae Academy awards. In 2014, Tarrus was inducted into the Caribbean Hall of Fame for his outstanding contribution to music.